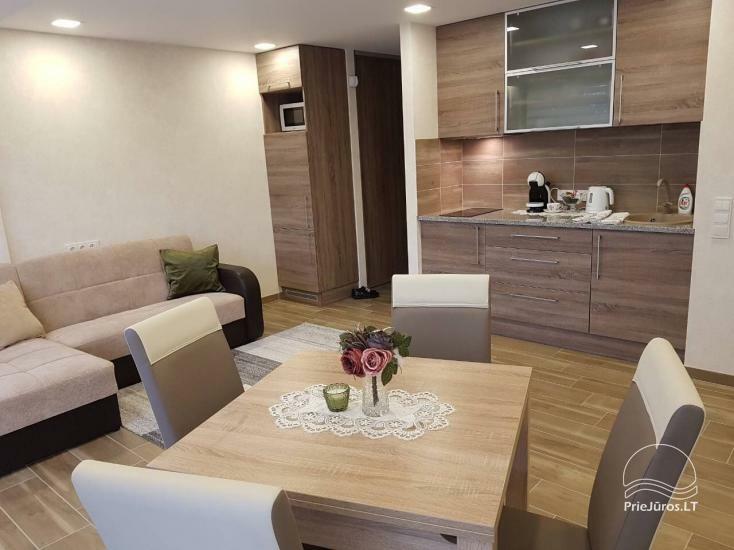 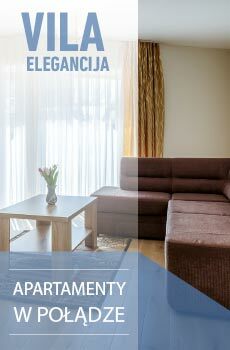 The modern and cozy apartments located in the center of Palanga resort. 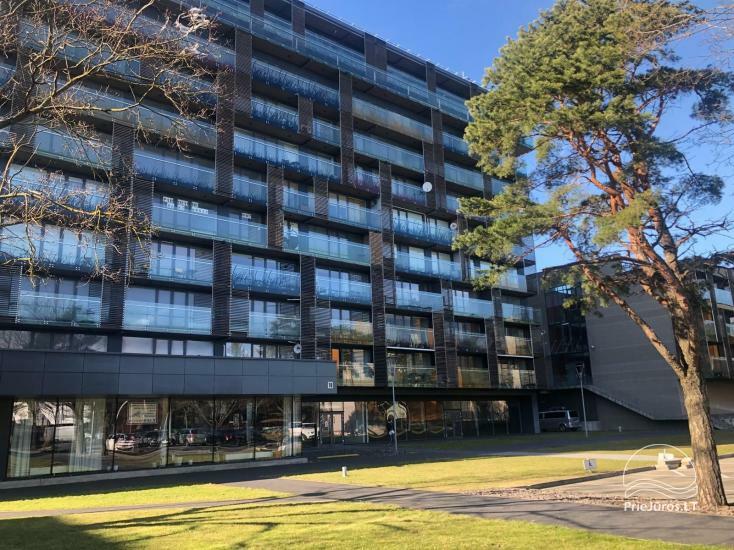 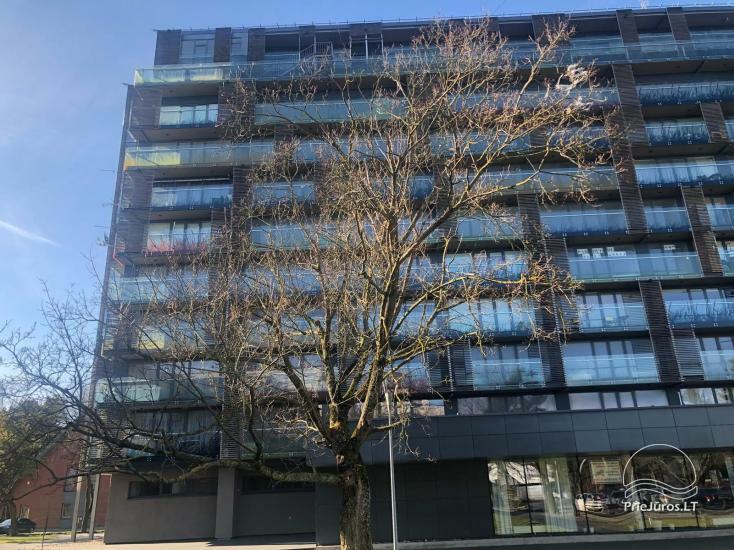 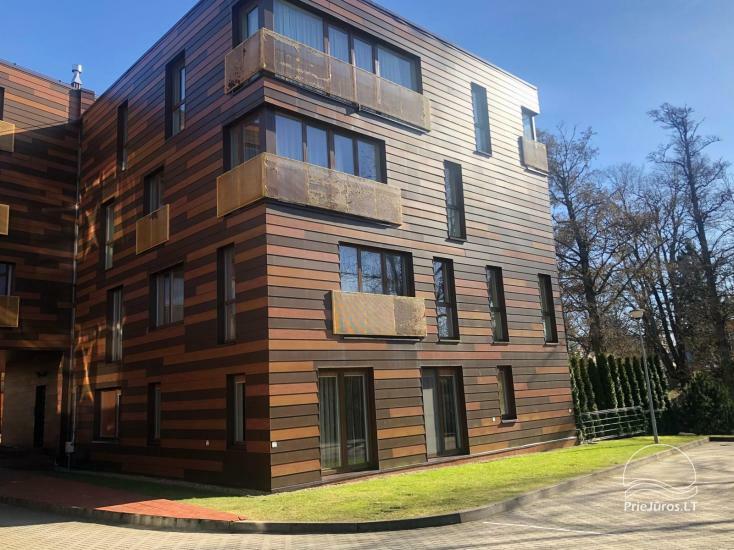 It’s few steps away from the Baltic sea beach and very close to main and most visited street in country J. Basanavičiaus street- it just 3 minutes away. 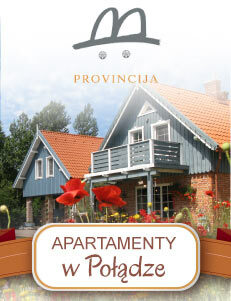 The apartments are rented all year around, we invite you to rest and spend yours vacation during all wonderful seasons. 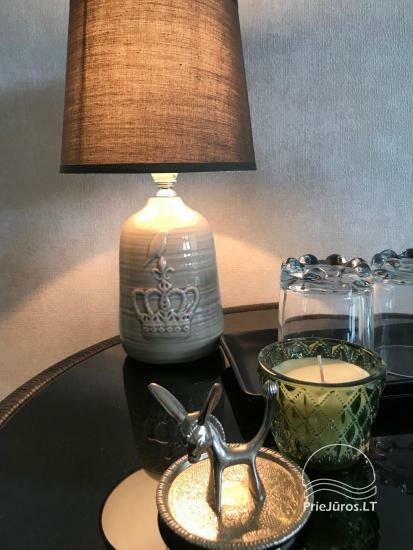 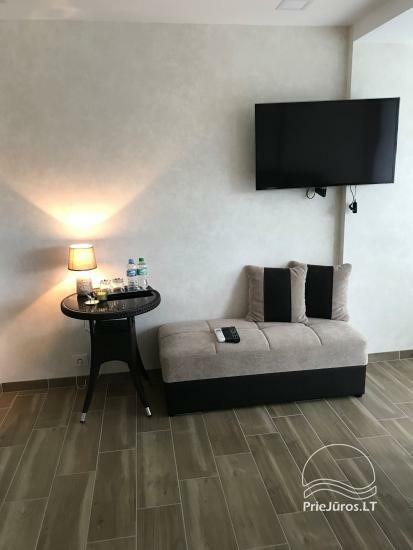 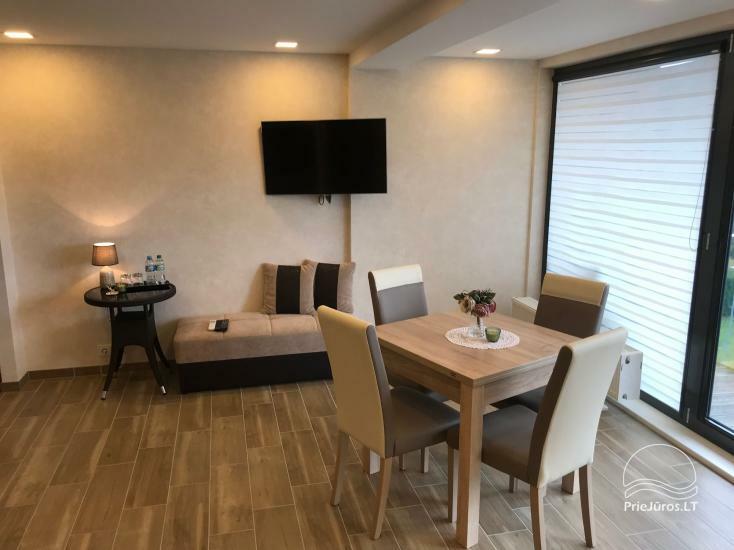 The apartments are adapted for full and comfortable relaxation: stylish interiors, cable TV, wireless internet, air conditioning and other cute little things. 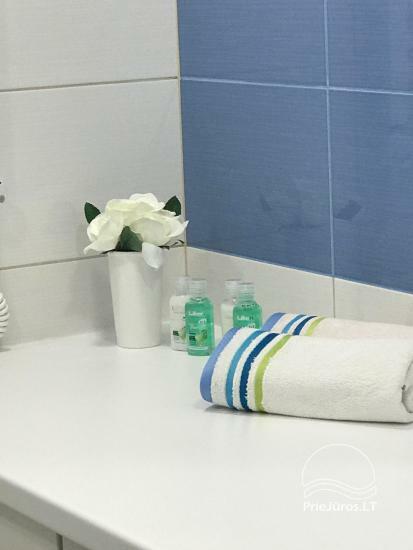 All bed linen, bathrobes, toiletries and soft towels are ready for your visit. 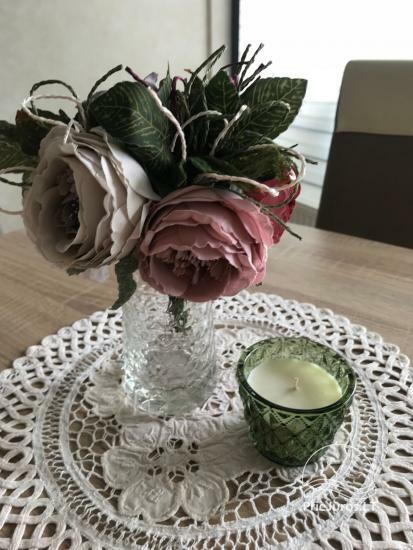 We hope to see you soon and become one of our regular customers. 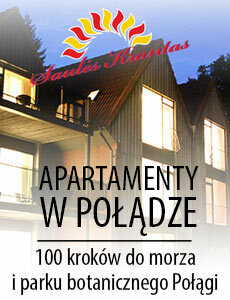 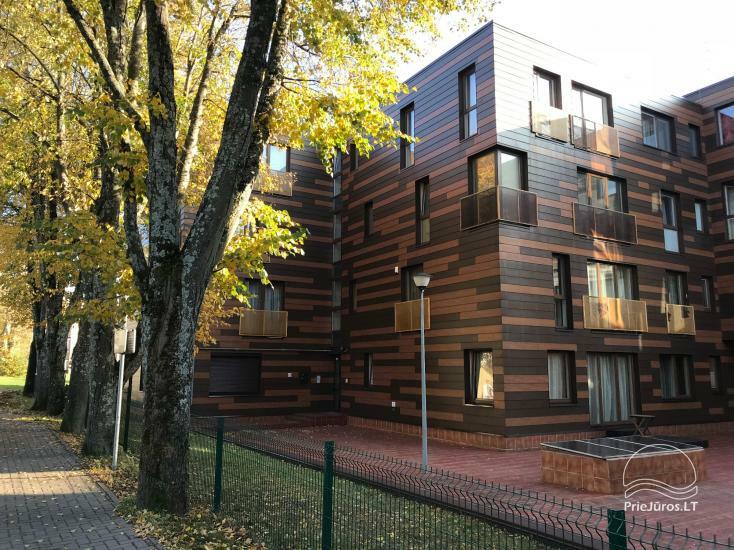 Newly-built, modern and cozy apartments-studio located in the center of Palanga, on Daukanto street 10. 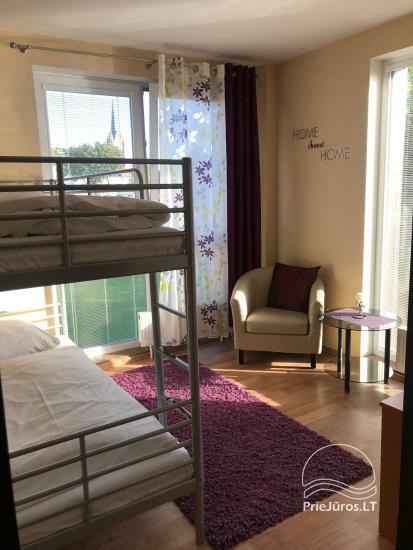 It’s 3 minutes to the main J. Basanavičiaus street and only 5 minutes you’ll spend to get Palanga bridge or seaside. 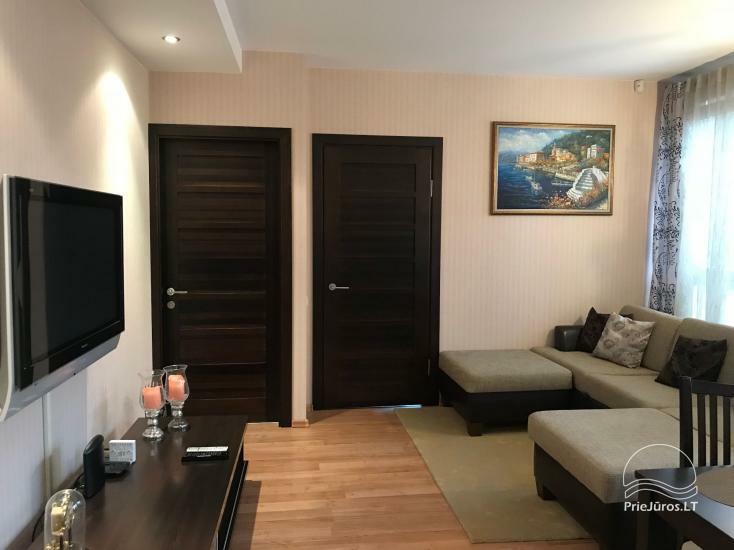 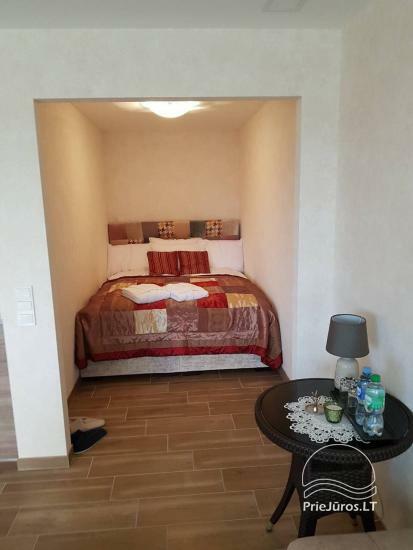 Apartments ideal suit for 2 (2+1) person vacation. 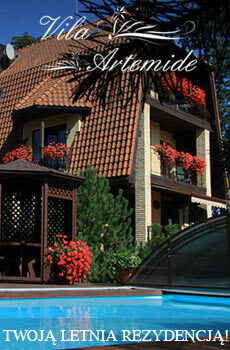 They are on the 4th floor, with a large balcony and stunning views of the seaside pine forest. 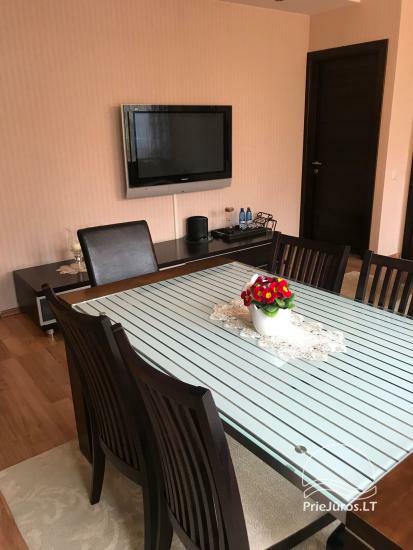 For your convenience in our apartments you’ll find a spacious double bed, a sofa bed, a kitchen with all the necessary equipment and dishes for yours holidays dinner. 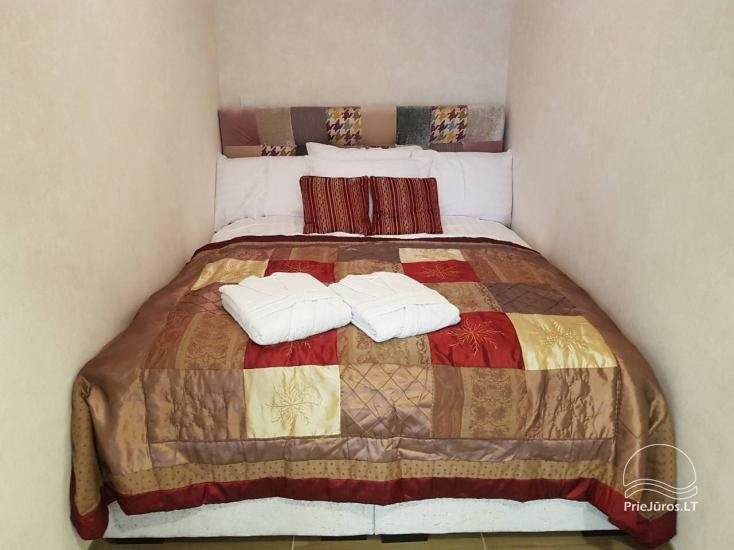 Spacious and bright bathroom will allow you to enjoy soft towels, hygiene products and bathrobes. 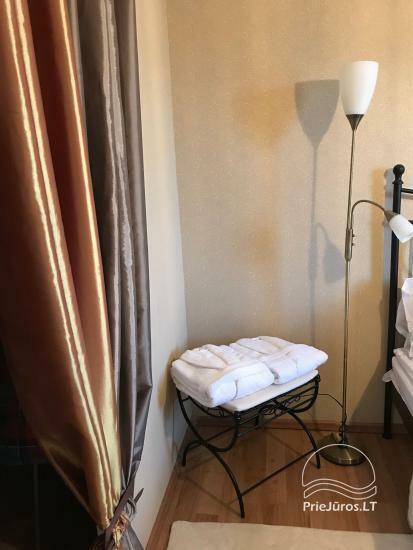 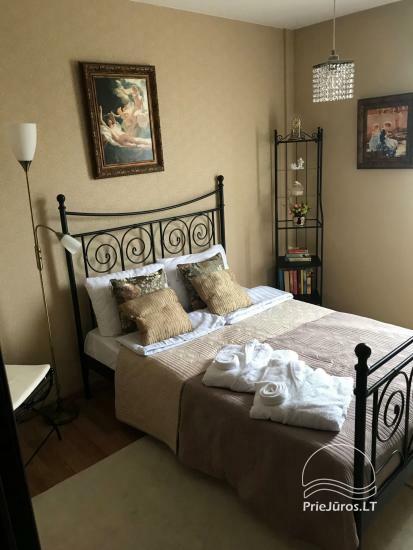 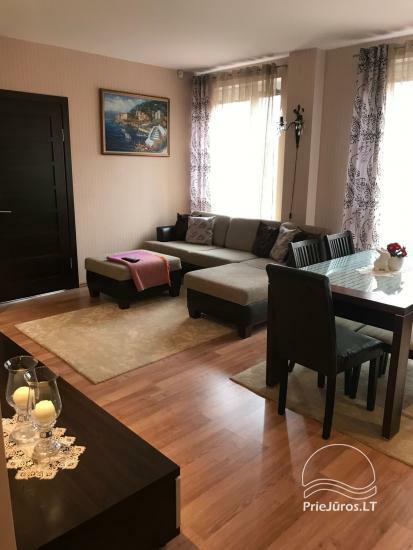 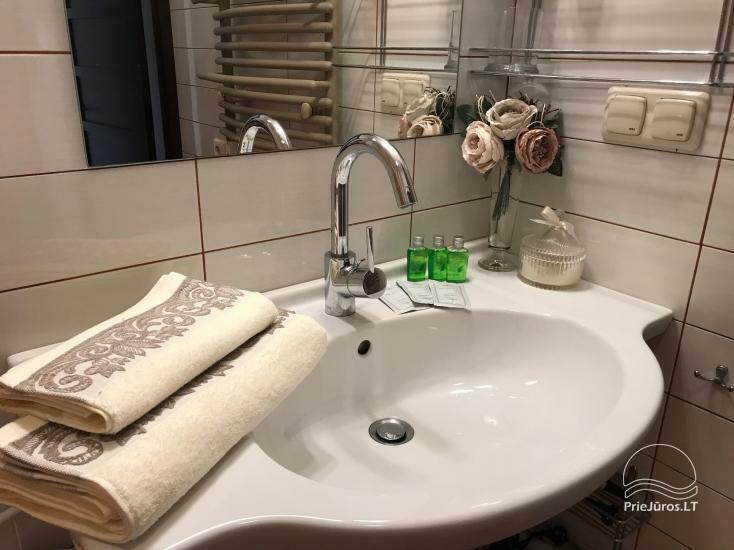 A 3-room apartments in S. Nėries street 9 (Palanga center) invites you to spend your holidays or relax from your daily routine. 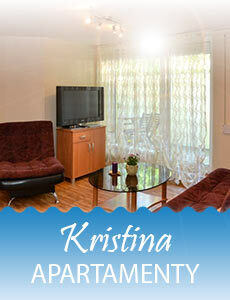 The apartments is on the 3rd floor and is suitable for 4 (4+2) people. 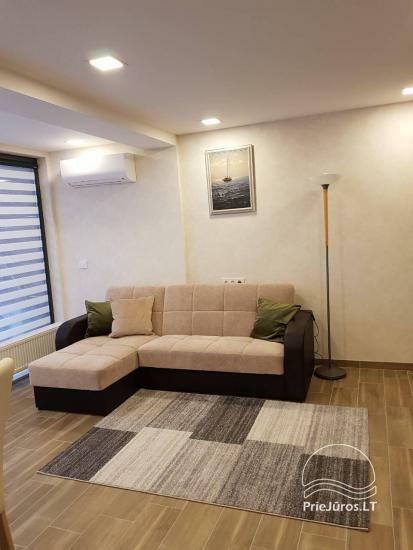 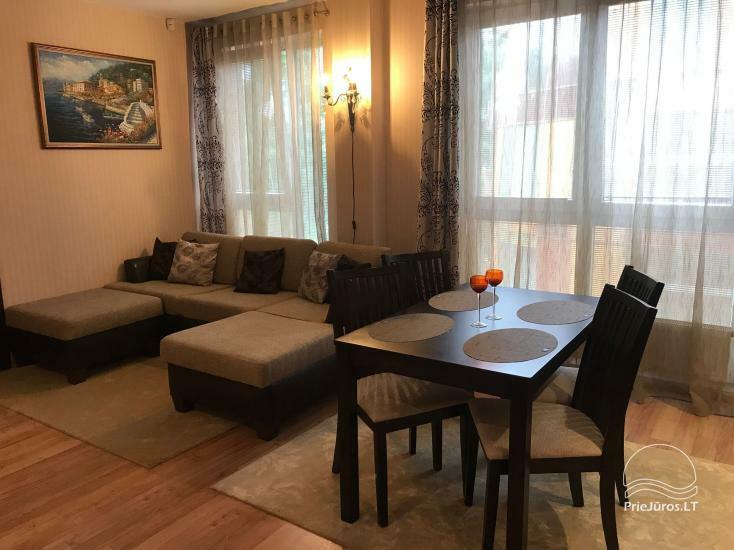 The apartments have a common living area and kitchen area, where you can spend your free time in front of the TV screen or have a dinner with your family , friends. 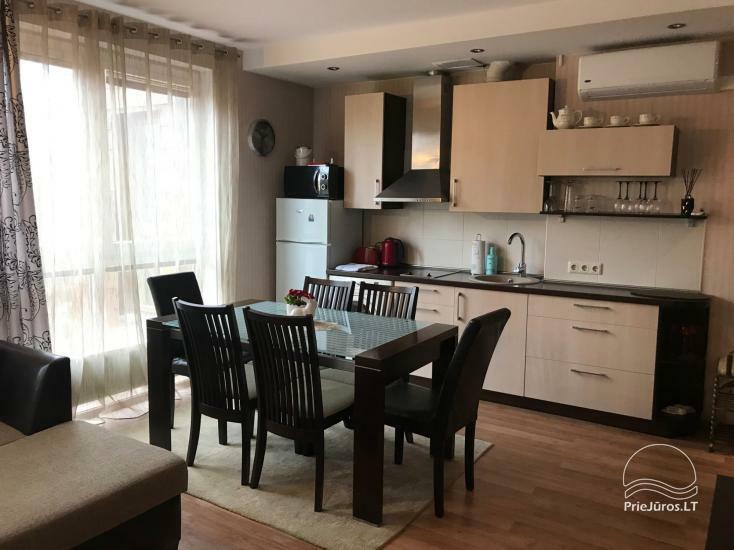 The kitchen has all the necessary equipment and cooking utensils. 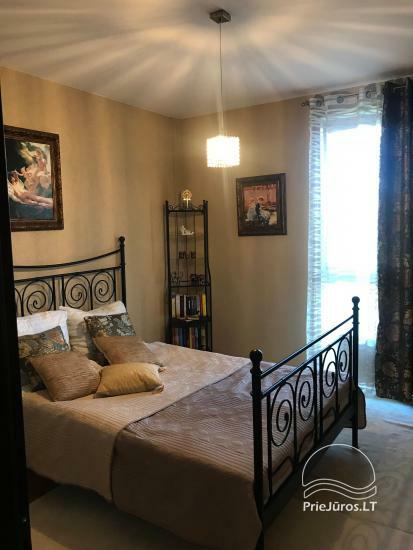 Two separate bedrooms allow families and friends to rest in separate spaces. 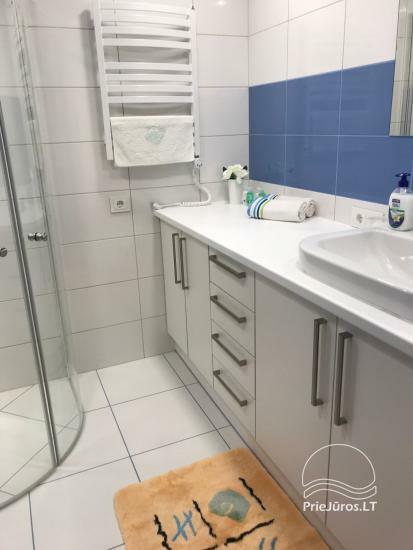 A bathroom with a shower and bathrobes, towels and toiletries are provided.